MANCHESTER UNITED appear to be leaving no stone unturned in their quest to build a side worthy of competing for the Premier League title, scouting Luciano Acosta over the weekend. 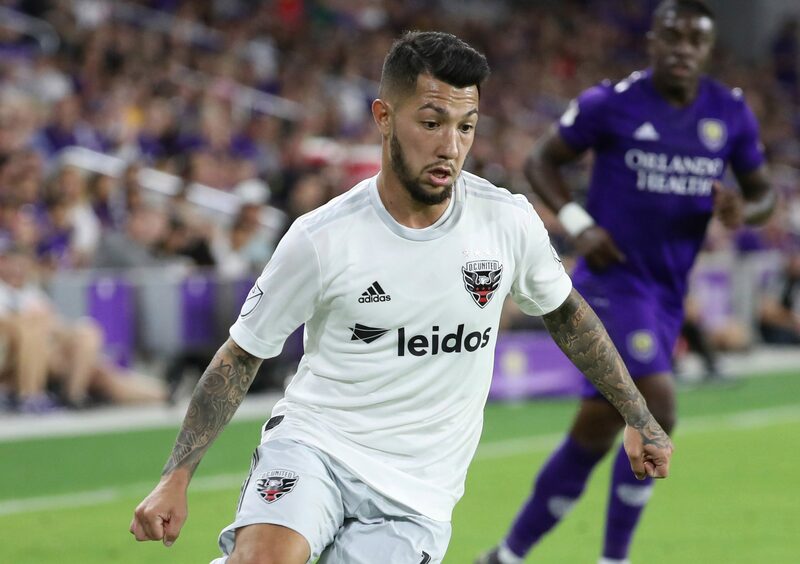 The diminutive attacking midfielder has been a star of DC United's rise in Major League Soccer, helping his side to the top of the Eastern Conference before Saturday's visit of Los Angeles FC. In the crowd for that clash were scouts from United. With ten goals last season and a spot in the MLS Best XI, 24-year-old Acosta has a growing reputation with time at Boca Juniors in his native Argentina also on his CV. Speaking after the game, he admitted that Saturday's game was perhaps not the best time to have scouts from one of the world's biggest teams watching him. Acosta said: "I’m obviously happy [United] were here. "They came to see me, and obviously I just went out and tried my best. A Diego Rossi hat-trick meant LAFC took all three points at Audi Field, DC losing 4-0 and seeing former Red Devil star Wayne Rooney sent off in the process for a dangerous sliding tackle. Acosta has only registered one goal in the opening weeks of the MLS season but United are not alone in taking an interest in the midfielder. Fenerbahce were rumoured to be in talks over a transfer last month with Paris Saint-Germain coming close to an £8.5million deal in January before reportedly pulling out. United are due to hand Ole Gunnar Solskjaer a significant transfer warchest to rebuild the team this summer. Declan Rice, Jadon Sancho and Aaron Wan-Bissaka are among the names touted to join although the club face a fight to prevent David De Gea and Paul Pogba from leaving.